I loved it! I wish i could attend an adult camp! Loved the story line, real personal struggle and great romance read. Kait Nolan Is Great For Firefly Falls! Audrey Graham was broken in a wreck that should have taken her life, or at the very best, crippled her. Firefighter Hudson Lowell responded to that accident call and helped cut Audrey out of her mangled car. More importantly, Hudson help Audrey's hand and talked to her during the rescue and quite possibly is the reason she's alive. After two years of grueling physical therapy, Audrey can still hear Hudsons voice in times of desperation. Although not 100%, Audrey can walk pretty well on her on, but the main recovery is that Audrey wants to experience everything she missed out on in life as a sheltered genius whose entire life had been focused on academic success! Hudson Lowell is suffering the worst kind of survivors grief after a devastating fire that took the life of one of his best friends and has left another barely hanging on to life. His friends and family are so worried about him that his mother enrolled him in an adult getaway at the camp where he spent so many happy summers as a boy. When Hudson and Aubrey reunite at Camp Firedly Falls the sparks fly almost immediately. But can they overcome their pain to let their hearts heal? Aubrey says yes, but can she convince Hudson that he deserves a happy life? Things begin to look up but when his last childhood friend finally succumbs to his injuries Hudson runs away! What will Audrey do? OMG I loved this so much. Two wonderful characters that come together after both going through traumatic situations. I have read a few of the Camp Firefly Falls books and enjoyed them but this one is by far the best to date. The camp setting is fabulous and the emotion had me shedding a few tears. Totally enjoyable read from start to end. Wow! 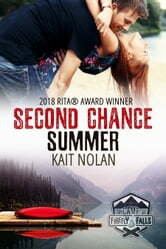 Never thought summer camp could be so exciting as in Second Chance Summer by Kait Nolan. Audrey Graham is following her list of things she wants to experience after two years of therapy and surgeries after an car accident that she should not have survived and summer camp is one of them. Her hero, firefighter Hudson Lowell is sent to summer camp by his family to help him with survivors guilt where two of his friends died in a fire. Kait Nolan wrote my favorite part in the book when Audrey hears the voice of her hero at camp and follows him to the dock from the dance. You will enjoy reading about Audrey and Hudson time at summer camp. 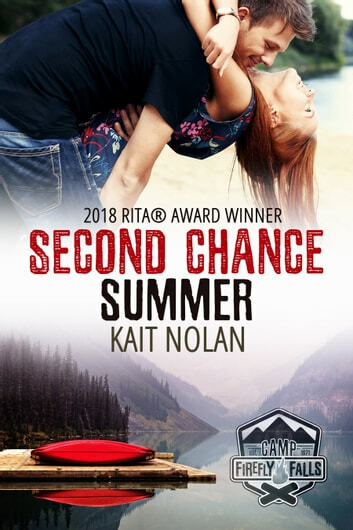 The book Second Chance Summer is beautifully written and a wonderful read. I highly recommend reading and can't wait to read the next book about Camp Firefly Falls series. I received a free copy of this book and have voluntarily choose to review it.